I love Venice, it is one of my favourite cities in the whole world. I love the streets, the history, the people, the boats and most of all – I love how I can spend a day getting lost. A lot of people will tell you that they didn’t like Venice, that it didn’t live up to the hype. I can see how that can happen, especially if all you see of Venice is Saint Marks Basilica, the Grand Canal and the Rialto Bridge. They are often over crowded, full of tourists and hawkers and don’t seem quite as magical as all of the pictures you looked at before you decided to put Venice on your itinerary… probably because the pictures never had 100 other tourists in it. To fall in love with this city I had to step away from the well worn tourists streets and disappear down a side alley. I let my feet take me down numerous streets, across bridges, around corners and through piazza’s. Within an hour I was completely lost and in love. 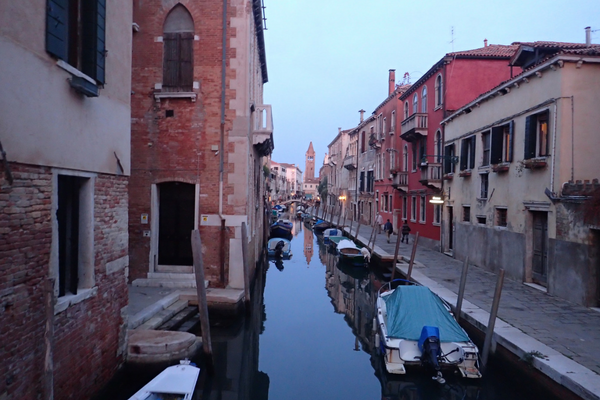 Venice is a great place for losing yourself as it is on an island, you can’t accidentally walk into the suburbs or the “wrong area” as there isn’t really one in Venice… or not one that I have found. It also isn’t that big, so you can walk for a day or event a week, zigzagging through lane ways, doubling back over bridges and never be too far from your starting point. If you do get terribly lost, you can just head towards one of the major canals and then follow it back to the main tourist drags. Put away the map – Seriously a map in Venice is pointless as all it will show is the main tourist streets. It’s almost like there are two cities in Venice, the one for the tourists and the one for the locals. When you step off the main tourist streets you suddenly notice the small cafes and restaurants, jam-packed with locals. 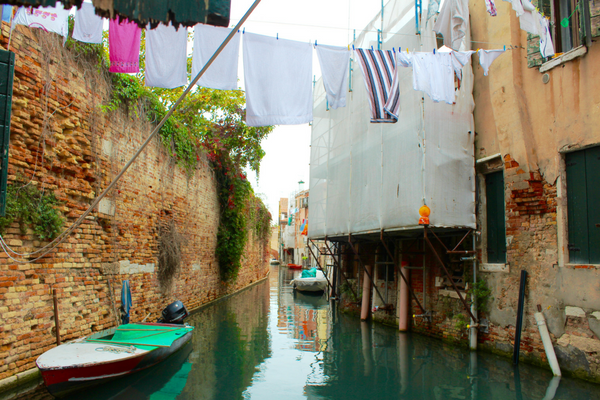 Washing hanging out over canals and small hidden gardens. You find super markets that you can only get to by cutting through a gondola repair yard or discover roof top patio’s. There is another city sitting there in plain sight waiting to be explored. 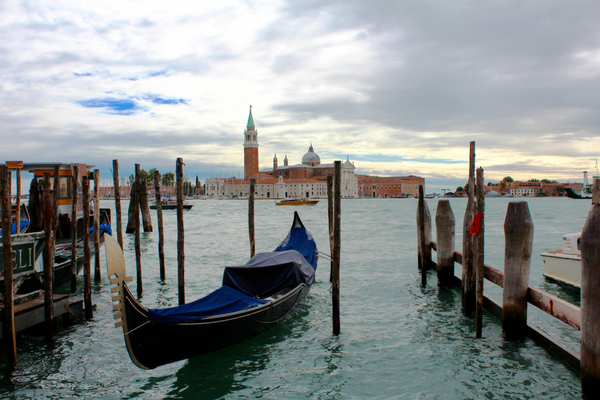 Read up on the history of Venice – Venice was once the gateway for Europe to the silk road. For over 5 centuries it was one of the most wealthy and influential cities in Europe. Its unique positioning in the Mediterranean gave organically bought about the rise of the merchants. Through wealthy and power it was able to ignore edicts from Rome and Florence issued by the Pope, indeed until the Ottoman empire, Venice remained an independent city. Everywhere you walk through this beautiful place you see evidence of this past, if you have read up on it before hand, finding small fountains lost in giant piazza’s is almost like stepping back in time. Get up early – Go to the tourist traps before anyone else arrives, there is something magical about an empty Saint Marks Square. The early morning light is great for taking photos – you can finally get that photo of Saint Marks without all of the tourists. Do aperitivo hour – The best thing about just letting your feet do the exploring as it is free, and in an expensive city like Venice, a free activity is rare. If you keep moving until aperitivo hour you can then purchase an apperol spritz and sample all of the buffet of snacks and appetisers that the bars put out for you to try. Its heavenly and cheap. I like to sit out in the fading sunshine and watch all of the locals pour into the bars while the tourists look on in confusion as they head back to their buses. Stay on the main island – If you can find a cheap way to stay on the island, I definitely recommend it. 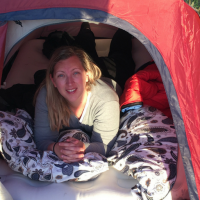 I stayed in an AirBnB with some friends, it was a little cramped but as we spent most of our time outdoors getting lost that didn’t matter. As always, do your research – I was there in October, the weather was still good but the summer crowds and prices had died down. What mattered was that I was right in the heart of the main island, giving me a unique opportunity to go exploring long after the tourists had gone home. 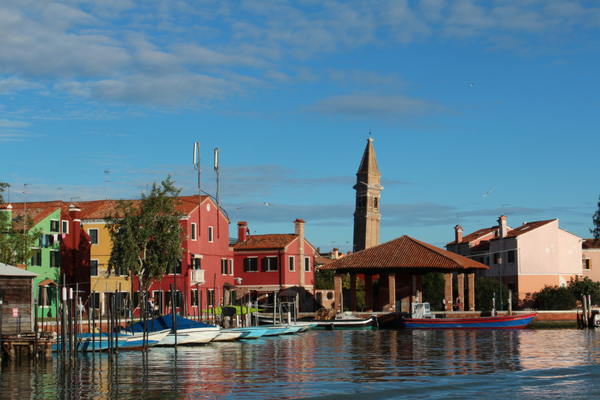 Explore the other islands – after you have gotten lost on the main island for a few days, catch one of the ferries to the outlying islands like Murano or Burano and do all of the above again. You won’t walk as far but each island has its own personality that is well worth getting to know. Don’t go backwards – always try to find a new way home, because even heading home can be an adventure. I have well and truly fallen in love with this old city that was once one of the major powers in all of Europe. A city that was built by refugees on sand islands because they had no where else to go, that later grew into a city of powerful merchants that defied the pope and Rome. A city that had the foresight to purchase the plans for the modern-day telescope from Galileo to improve their sea navigation, become the spice road gateway to Europe. How can you not fall in love with this place?! On your next trip to Europe, definitely put Venice on the list, but pack walking shoes and no map. Head off down alleyways and winding canals, lose yourself for a couple of days. I promise you – its worth it. Brava, thank you for this very positive look on Venice! Great read! Love Venice and totally agree.